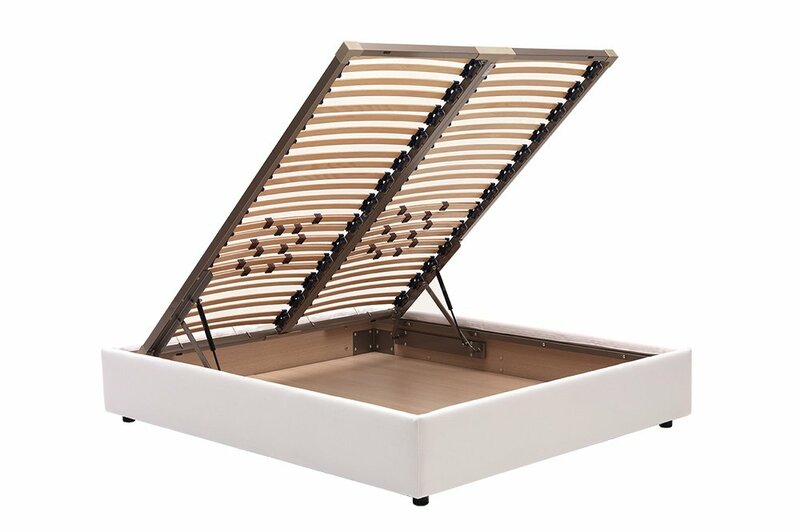 Storage bed mechanism with double function: lifting vertically for easy access to the storage area. 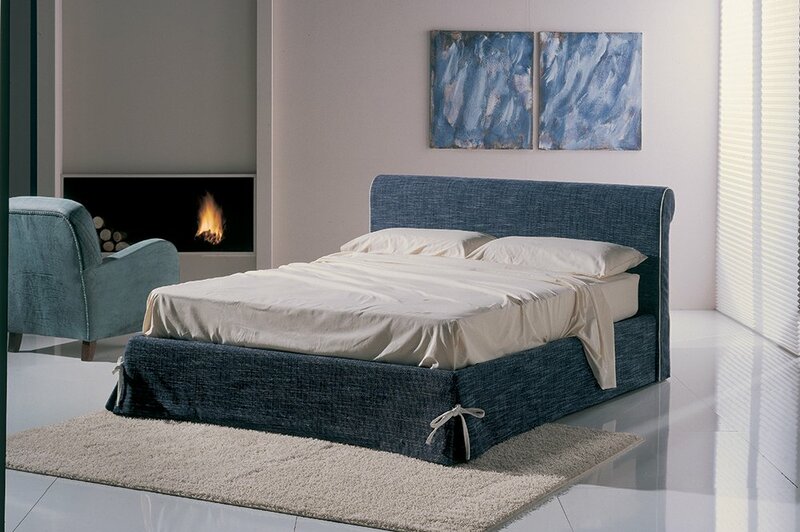 The opening operation positions the bed parallel to the floor at a height of 70cms giving total access to the storage area and greater ease in changing Bed Linen. 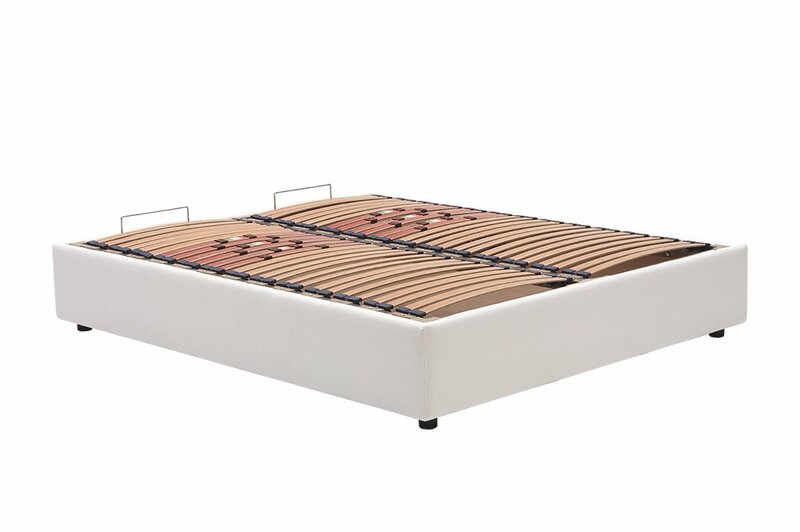 Orthopaedic beech wood slats sleeping base. 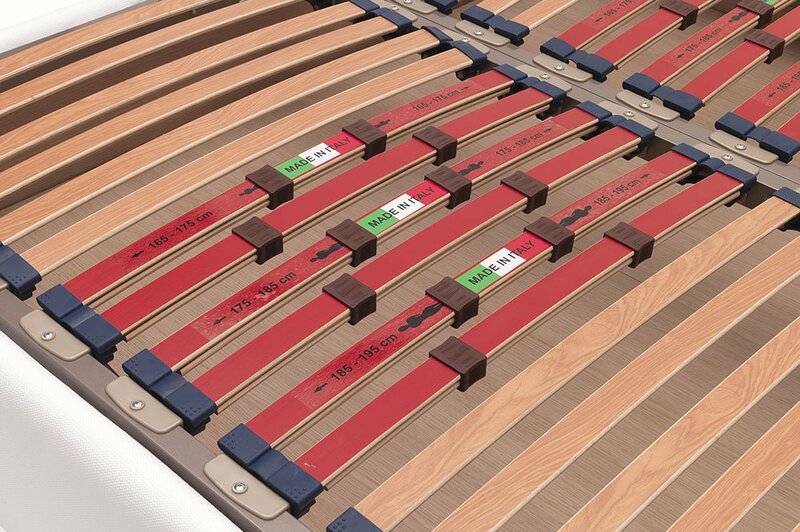 Special tension regulators allow adjustment of the firmness of the beech wood slats. 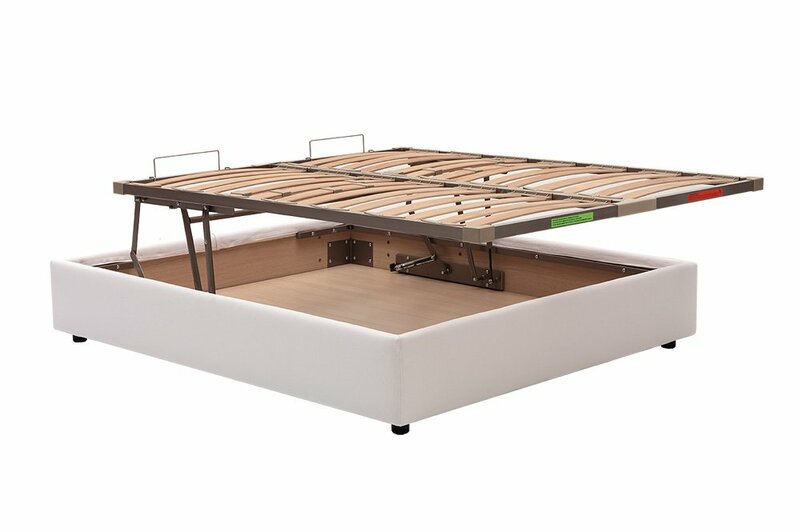 The lifting mechanism, the sleeping deck and the gas springs are supplied assembled. Legs, screws, and bayonets packed separately. 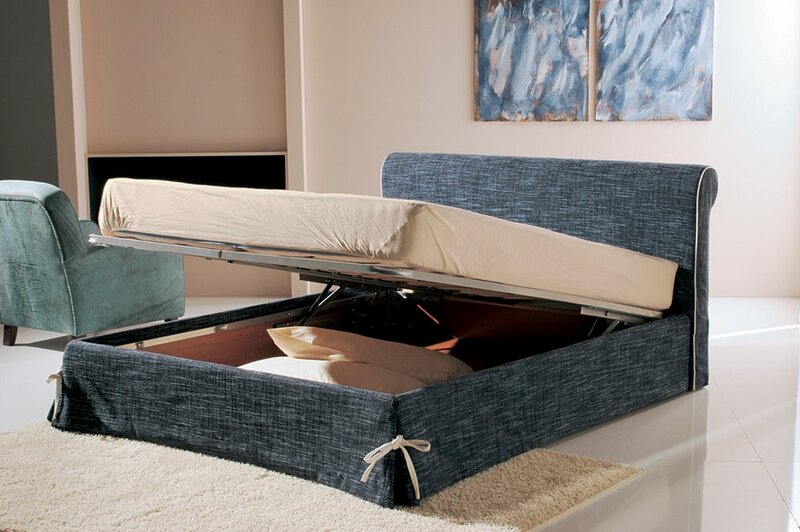 It can be disassembled in two parts to accommodate the most difficult deliveries. Storage bed mechanism available complete with melamine cherry-tree coloured base and in special sizes upon request.